The Society encourages research, and promotes all aspects of molinology as well as the restoration of mills. 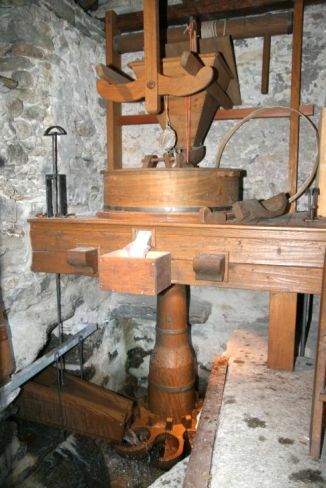 It works closely with national mills societies and organizations and also campaigns at regional and government level to encourage the preservation of important historical mills and mill-sites. English is the official language of TIMS. TIMS issues various publications, and organizes symposia and mill tours. In order to facilitate the exchange and dissemination of knowledge and information on mills, the Society issues two journals, called "International Molinology (IM)", a year. These contain articles, book reviews, TIMS notices and research findings. Larger studies are published in the series "Bibliotheca Molinologica (BM)" which contains 22 titles to-date (2016). In addition to the IM and BM publications, an electronic newsletter, called "TIMS E-News", is sent out by email twice a year. Every four years or so an international Symposium is held in one of the member's countries. These week-along symposia give members an opportunity to meet fellow-molinologists from around the world and to present papers on research carried out into aspects of mills and milling. Also included are discussion seminars and field visits to mills of interest. Following the Symposium the papers and discussions are published in the form of Transactions. This sharing of information, research and expertise is an important part of TIMS's work. During each Symposium the Society's General Meeting is held. At the General Meeting the members of the TIMS Council are elected. In between two Symposia also a Midterm Tour is organized, in which mills of interest are visited. Membership of TIMS is open to any person or organization that shares the aims outlined above. Members receive two journals, "International Molinology", a year plus any new volume in the series Bibliotheca Molinologica (in average, a new volume every 2-3 years). Membership is on a yearly basis, beginning in January. Members joining later in the year will receive copies of any IM or BM published earlier that year. Members can participate in the Symposia and the Midterm Tours. In addition, members are granted access to the TIMS Digital Library, which contains a wealth of molinological articles and other information. To join TIMS please use the Membership page. For further information please contact the nearest TIMS National Representative or contact the President of our Society.